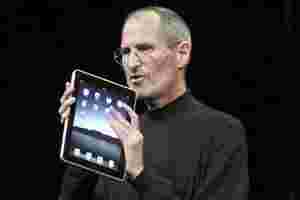 New York: The release date for a Steve Jobs biography has been pushed up to 24 October in the wake of the Apple co-founder’s death on Wednesday, according to a spokesman for publishing house Simon & Schuster. The book was originally planned for release on 21 November. Meanwhile, Bluewater Productions said it was rushing out a special edition e-book of its forthcoming comic book on Jobs. The 32-page comic titled “Steve Jobs: Founder of Apple" can be purchased on the NOOK and Kindle reading devices from Thursday. The print edition comic-book is due for release at the end of October, with a portion of the profits from both issues going to the American Cancer Society. Jobs, the charismatic co-founder and former chief executive of Apple Inc died on Wednesday in Palo Alto, California at the age of 56. He is considered to be among the greatest American chief executives of his generation.